Palmdale Water District authors a yearly report on the status of our water quality. Read the most recent report (and access past reports). Due to the drought, we are more dependent on groundwater and therefore we are seeing more air throughout our distribution system. 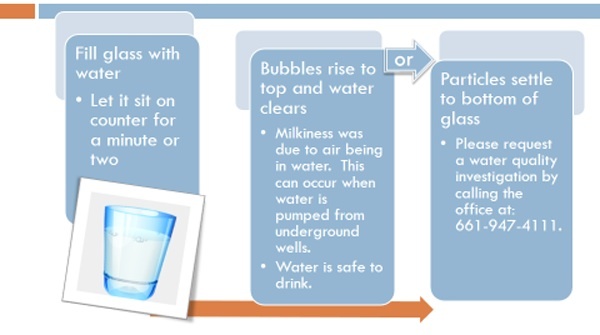 To determine the cause of your water’s “milky” appearance, try the following. 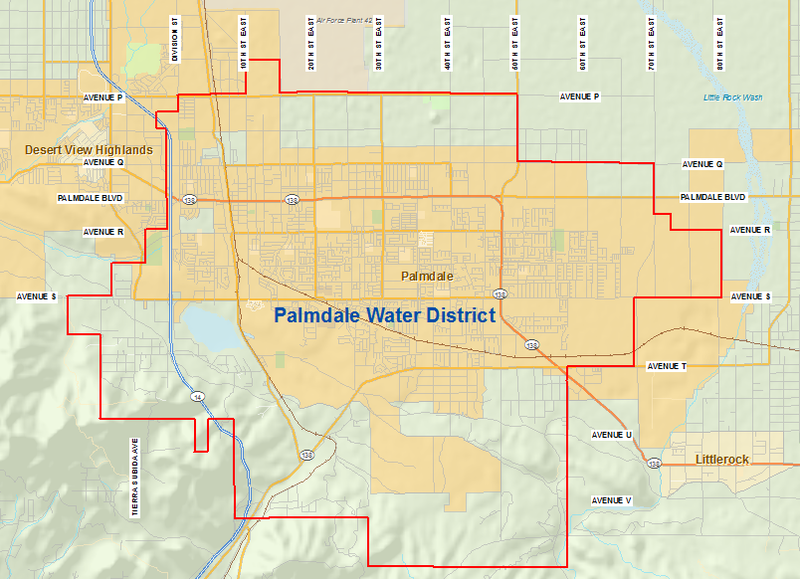 Read Palmdale Water District’s full report on water quality here. Learn more about the invasive mussels of Palmdale Lake and what the Palmdale Water District is doing to preserve our water quality. Install a low-flow aerator faucet and SAVE…2 1/2 gallons of water per minute.